Complete Management Services is here to help you find the perfect property rental in Monticello, whether it is a condo, apartment or single-family home. We are also ready to assist homeowners and property investors through the rental process, connecting you with the renter you are looking for! 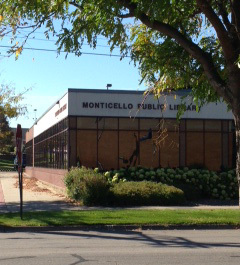 Monticello Minnesota: a great place to live! Complete Management Services offers rentals and property management services! Monticello is located on the Mississippi river at the northern edge of Wright County. Founded in 1856, the city celebrated its 150th anniversary in 2006. In anticipation of rapid population growth, Monticello created a comprehensive growth plan in 1996. A new high school was constructed, and a new highway interchange was completed. Since 2002, many retail outlets have been constructed, including a Wal-Mart Supercenter, a Super Target store, a Muller Family Movie Theatre, a new bowling alley, the Home Depot, Marshalls, Applebee’s, Taco John’s, Arby’s, and soon to have an Aldi’s and a Goodwill. This planned growth has also brought new auto dealerships, hotels, and industrial development. Monticello continues to attract new construction and business opportunities. A 2004 annexation agreement with Monticello Township is expected to help sustain Monticello’s growth for the next twenty years. For Renters: Rents for homes are much more affordable in this area than the Twin Cities. Rents for average size homes range approximately $1000-1500 and town homes start even less, around $850 and up. St. 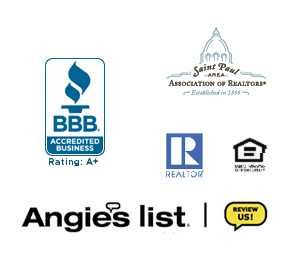 Cloud and surrounding areas have the allure of the country with a secluded feel, yet offer all the conveniences nearby Minneapolis – St. Paul and St. Cloud. For Investors: If you are a property owner or investor in the Monticello area, we can assist you in renting your home, townhome or residential property. Monticello, as well as nearby Albertville, are high demand rental areas with not enough product so investing in these areas is a great opportunity. Complete Management Services goals include getting you the best possible rental rate, with longer leases and qualified tenants. Contact Complete Management Services at 612-998-3034 or 612-251-3223 for more information. We are here to help you rent your Monticello property!